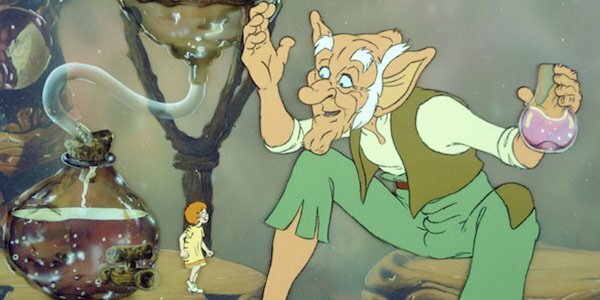 Mid last year it was announced Steven Spielberg would direct an adaptation of Roald Dahl's children's classic The BFG. With a still only a small cast thus far announced, the project has most definitely generated some fan interest with the latest addition of Saturday Night Live's Bill Hader. The announcement of Hader's joining the live-action project came earlier yesterday and it looks as though he will be filling some pretty big shoes, literally. As reported by Deadline, the SNL comedian is boarding the film in the role of one of the giants. Dahl's original children's book follows a little girl by the name of Sophie who lives at an orphanage run by Mrs. Clonkers. She befriends a kindhearted giant known as The BFG or The Big Friendly Giant and the duo, along with the Queen of England, venture out to bring down the terrible, man-eating giants who have set their sights on the rest of the human world. The BFG, illustrated by Quentin Blake, was first published back in 1982. The book is an expansion of an earlier story told within Dahl's Danny, the Champion of the World. Many may remember the delightful full length animated feature film, based on the book, released back in the 80s. Spielberg's upcoming adaptation was scripted by Melissa Mathison, an old collaborator of the director who last teamed up with him for the 1982 film E.T. The Extra-Terrestrial (ironically released the same year Dahl's The BFG was published). DreamWorks acquired the rights to the children's work back in 2010 and will co-produce it with Walden Media with shooting to take place in Vancouver. Hader's joining Spielberg's The BFG is only the latest success for the small screen comedian turned big screen actor. His appearance in the 2014 film The Skeleton Twins, in which he co-starred with fellow Saturday Night Live star Kristen Wiig as well as Luke Wilson, saw the actor pushing himself into new dramatic territory, dealing with challenging material like suicide. More recently, he will be appearing in the Judd Apatow-directed comedy Trainwreck, which was written by (and will star) Amy Schumer. Hader joins The BFG alongside Tony-winner Mark Rylance, who will star as the Big Friendly Giant (aka The BFG) and Ruby Barnhill, who will be playing the role of Sophie. Marilyn Norry has also been cast in the role of Matron and Martin Freeman has been rumored for a role in the film.